Trinity College Library, Cambridge High resolution digitised version of Newton's own copy of the first edition, with annotations. 1687: Newton's Principia, first edition (1687, in Latin). High-resolution presentation of the Gunnerus Library's copy. 1687: Newton's Principia, first edition (1687, in Latin). ETH-Bibliothek Zürich (pirated Amsterdam reprint of 1723). N. W. Chittenden, ed., 1846 "American Edition" a partly modernised English version, largely the Motte translation of 1729. 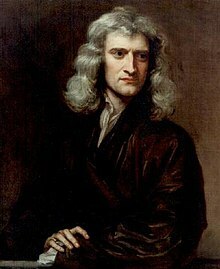 ↑ Newton, Isaac. "Philosophiæ Naturalis Principia Mathematica (Newton's personally annotated 1st edition)". http://cudl.lib.cam.ac.uk/view/PR-ADV-B-00039-00001/. ↑ J M Steele, University of Toronto, (review online from Canadian Association of Physicists) of N Guicciardini's "Reading the Principia: The Debate on Newton’s Mathematical Methods for Natural Philosophy from 1687 to 1736" (Cambridge UP, 1999), a book which also states (summary before title page) that the "Principia" "is considered one of the masterpieces in the history of science".